“Their recruiting methods are very fine and elaborate,” says a former adherent. Yana Losovsky, now a 30-year-old woman, is still trying to come to terms with her mother’s choice: to willingly bring her child into a religious cult. At first, the 9-year-old was fond of her sudden change because "it was interesting for me to believe. I asked them to attend a youth conference [organized by the sect]. We learned Bible verses by heart and earned prizes. It was called the Church of Restoration,” said Losovsky. As she grew up, doubts crept into the girl’s soul, eventually tainting her relationship with her mother. “They used to say theirs was the only true faith, that it was necessary to completely dedicate oneself to god, and that everything else was a sin,” said Losovsky. A sudden understanding of how wrong everything was came to Losovsky when she turned 15. That year, the girl fell in love for the first time. Her new boyfriend was not in the sect and this led to a conflict with the fanatic inner circle. Even milder ‘mischief’ that the girl allowed herself infuriated the cult’s adherents, including her own mother. An innocent hobby – vocal singing – turned the young girl into a hopeless sinner in the eyes of the fanatics, who applied immense psychological pressure to maintain the girl’s obedience. The thought that she'd go out with a boy from the 'outside world' seemed insane. For some time, Losovsky stayed with her mother but soon her lashing rebukes became unbearable, and the girl ran away from home. Thousands of minor religious cults operate in Russia, where religious freedoms are protected by the Constitution. In many cases, destructive cults are hard to identify and fight back en mass because they fall beyond government oversight due to their small size and secrecy. Experts usually distinguish between a few broad religious movements that they classify as destructive and totalitarian cults. These operate in Russia on a larger scale and will be familiar to people from other countries: Jehovah's Witnesses, Church of Scientology, Charismatic Cult, and the International Society for Krishna Consciousness (ISKCON). However, there are other cults whose nature is more elusive, making them more difficult to classify. Jehovah's Witnesses sing songs at the beginning of the meeting in Rostov-on-Don on November 13, 2015. Although the Ministry of Justice won a court decision in April 2017 that labelled Jehovah's Witnesses an extremist organization and banned its activities in Russia, other cults have such an elusive nature that it’s hard for the state to protect people. Non-religious cults are pioneers in this field: people can no longer be certain if they're attending a motivation training session or a cult meeting. “Two of my friends got hooked on the lectures of Oleg Torsunov, a self-proclaimed ‘expert in family psychology and personal growth practices.’ They don’t think it’s a cult, but I’m sure it is,” said Olga Yershova, a Moscow woman. Torsunov’s lectures are indeed reminiscent of cult meetings: a hall full of women sit silently watching poorly articulated verbal improvisations onstage by a mediocre man. Broadcasts of the ‘lectures’ are freely available online. Behind the façade of ‘personal growth’ lessons there is a whole industry selling everything from books to pine nuts, from tooth powder to sugar. A flow of customers is ensured by Torsunov’s lectures: the man proclaims himself a candidate of medical science but takes suspicious interest in astrology, karma and reincarnation. “No one recruits newcomers openly. They invite people to self-development or psychology lectures, as well as Indian cultural festivals. 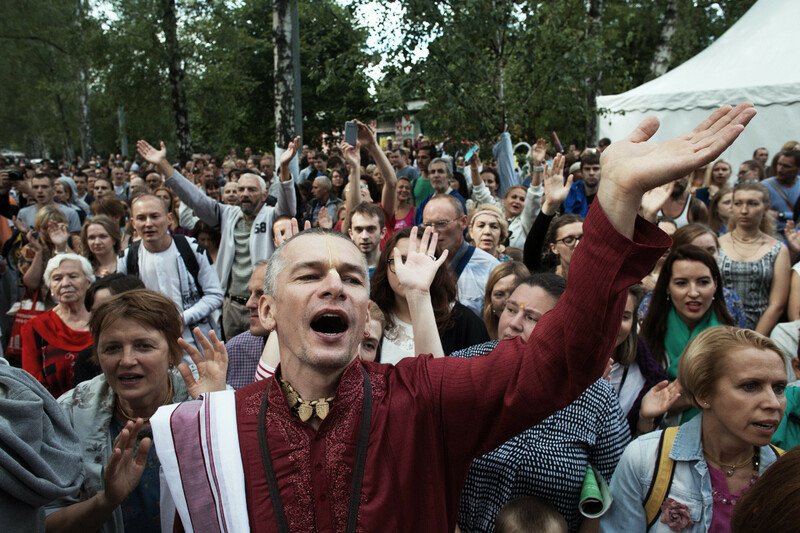 Their recruiting methods are very subtle and elaborate; they never do it bluntly,” said Mark Martsinkovsky, a Moscow resident recruited by ISKCON when he was 24, and who spent five years in the cult. Experts warn that it’s easy to fall under the charms of cult adherents as they are always very welcoming to newcomers, showing empathy to vulnerable individuals who usually long for acceptance. Professionals call it “love bombing” – a method that seeks to gain influence over a person by demonstrating an extreme level of affection at the beginning. Everything changes, however, when the honeymoon period ends for the new recruit. “You are forced to repeat a mantra for two hours every day. They don’t force you physically, but when your world view shifts you are afraid to insult the guru with disobedience,” said Martsinkovsky. 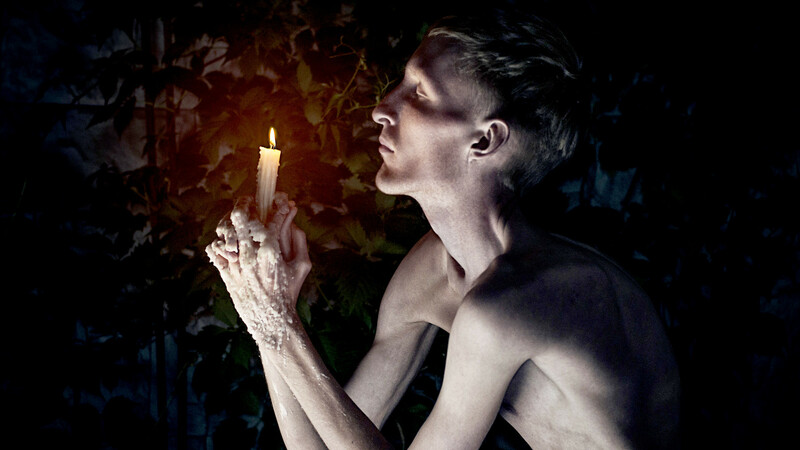 Some of the rituals are so repulsive that it's clear that cult followers lose any ability to think straight: “The guru washes his feet in milk, and then his pupils who come to the temple must drink it; they call it ‘nectar,’” said Martsinkovsky. Those who managed to escape speak about it with relief, especially if they were able to shake it off without suffering serious damage, financial or psychological. Others, however, whose families were forever split over the question of these false faiths, are less enthusiastic. Most of the Russian people are Orthodox Christians. There is a reason for this. Why has Aum Shinrikyo been banned in Russia only now?